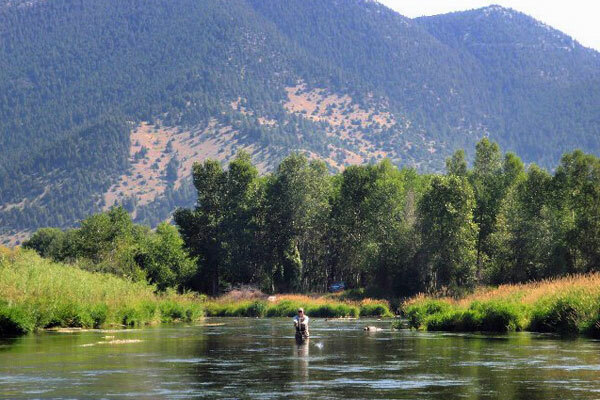 The rivers of Southwest Montana are legendary trout fishing waters. The Big Hole River, known for its huge brown trout and delicate Arctic Graying, flows through our meadows. Bordering 3½ miles of riverfront on the Big Hole River in the Canyon Stretch, we are located approximately 50 river miles from the confluence of the Jefferson. 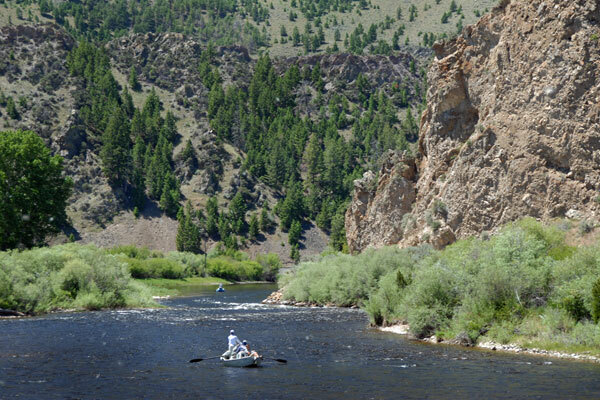 Undeniably, the Silver Bow Club sits on the best stretch of river in terms of fish size, population, and water flows. The Big Hole River is a Blue Ribbon Trout Stream boasting 3000 fish per mile. Guests are encouraged to access the river by crossing the hay meadows and access the numerous pools, riffles, and runs. Our golf cart path winds along a portion of the river for easy access to several of our favorite pools and picnic areas. Only during spring run-off is the river too high to wade comfortably. Wake to a freshly prepared, homemade breakfast. Enjoy coffee on the patio looking out over the trout pond, the hay meadows, and the tress-lined banks of the Big Hole River. Your guide will meet you at the lodge for an action-packed day on the rivers of Southwest Montana. Catch wild rainbows, browns, arctic grayling, and cutthroat trout in pristine rivers. Return in the early evening to enjoy a beverage while dinner is carefully prepared. The smells from the kitchen are amazing! Swap stories of fishing and fun with friends and guests at the campfire under millions of stars before retiring to a luxury room or suite. Tomorrow promises to be another incredible experience. 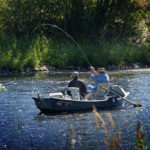 While staying in our Grand Lodge at the Silver Bow Club, fly fishing on the Big Hole River and other area rivers, are included as a daily activity. We partner with Montana’s finest fly fishing outfitters. 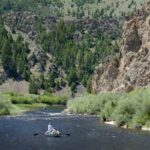 The guides and outfitters we work with are local and experts of the rivers we fish – the Big Hole River, the Beaverhead, the Ruby, the Jefferson, and the Madison River. 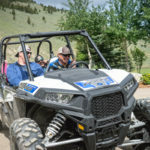 As an all-inclusive resort, you can choose from activities such as trap shooting, ATV tours, horseback riding, pheasant hunting, and aerial photo flights. 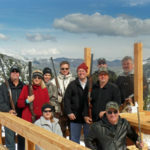 Bringing a group? Rent the entire lodge for maximum privacy. 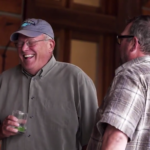 The Silver Bow Club is the perfect destination for friends and family as well as group fishing trips and corporate retreats. 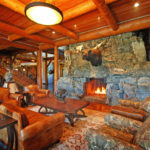 Just a little further down the ranch road, you’ll find our loft-style log cabins. 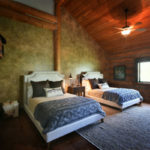 These two-bedroom cabins are perfect for anglers and vacationers wanting a do-it-yourself experience. Enjoy private access to 3½ miles of the Big Hole River, explore our 1800 acres of meadows and slopes, and relax by the campfire at your cabin. 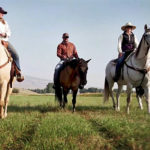 For an additional fee, enjoy any of the ranch activities or join us for dinner in the Grand Lodge. For those who prefer to float, the Big Hole River offers numerous boat launches. Just upstream from the Silver Bow Club is the Divide Bridge access. Here you’ll find an easy boat launch and picnic area. Downstream, is the Maiden Rock Fishing Access. 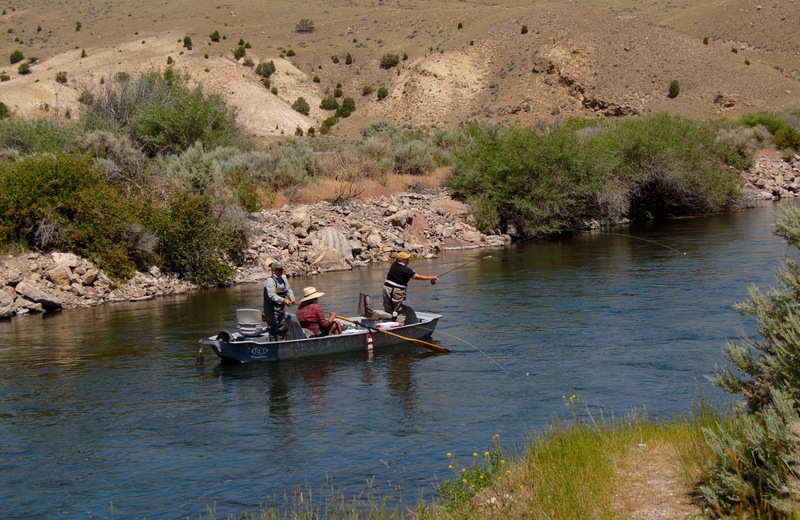 Float the beautiful canyon for some of the best fly fishing the Big Hole River has to offer. The Big Hole River in Montana, one of the best fly fishing rivers in Southwest Montana. 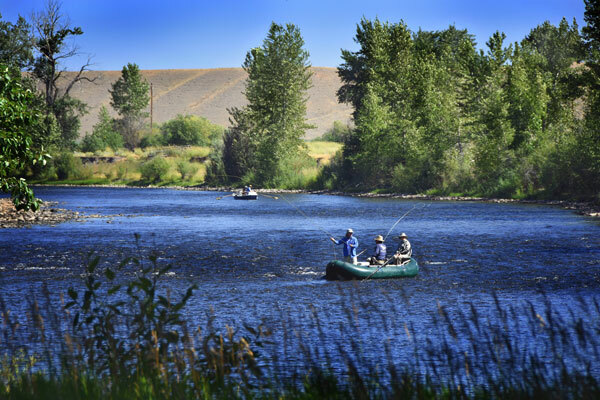 With more than 3000 fish per mile, the river is an angler’s dream. In summer is the river is very wade-able. In spring, fishing from a drift boat or raft is preferred. Often referred to as the ‘Last Best River‘, begins at Skinner Lake, high in the Beaverhead Mountains of Southwest Montana. This free flowing, Blue Ribbon Trout Stream is home to fluvial Arctic Grayling, Cutthroats, Brook Trout, Mountain Whitefish, Brown Trout and Rainbow Trout. Nearby, the Beaverhead River flows from the Clark Canyon Reservoir. 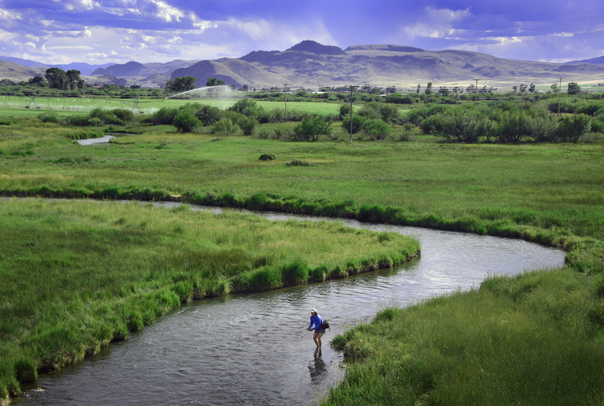 The Beaverhead is also a Blue Ribbon Trout Stream. This tailwater is home to approximately 3800 fish per mile. A notable tributary to the Beaverhead is Poindexter Slough. 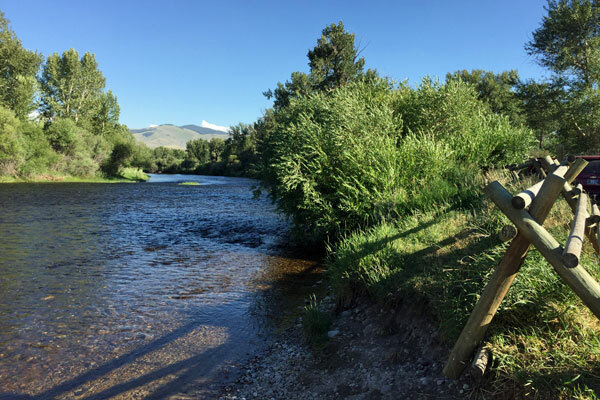 Located in Dillon, this spring creek provides anglers with challenging trout. The 69 mile long Beaverhead joins the Ruby River, then the Big Hole in Twin Bridges, Montana where together the rivers become the Jefferson River. The Jefferson River begins in the small rural town of Twin Bridges, Montana. Here, the Ruby River joins the Beaverhead and flows through the small fishing town and then is joined by the Big Hole River. The river now begins its 82-mile journey to meet the Madison and the Gallatin rivers near Three Forks, Montana to form the mighty Missouri. 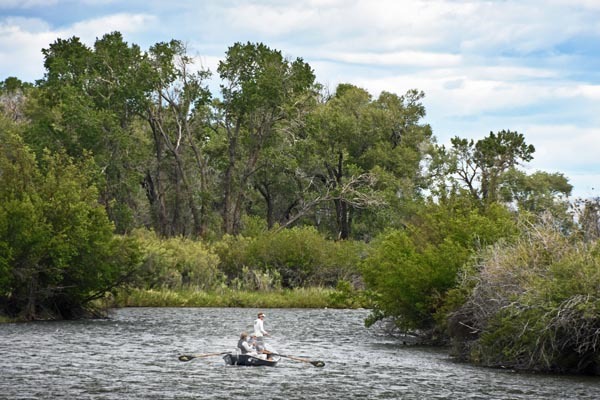 To the East, the Madison River offers yet another fly fishing option. A Blue Ribbon Trout Stream, the Madison has 2000 fish per mile. 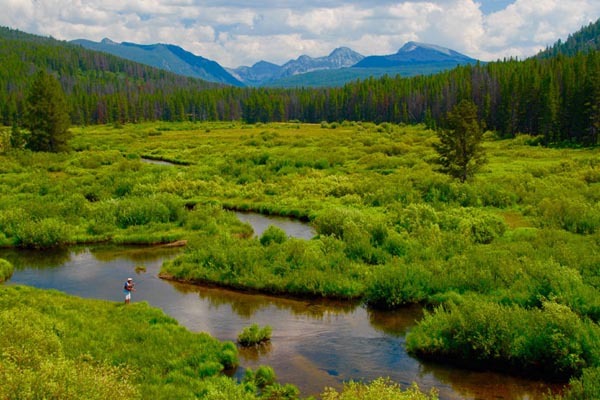 With dramatic mountain range with peaks of more than 9000′, the Madison is known as the 50 mile riffle. 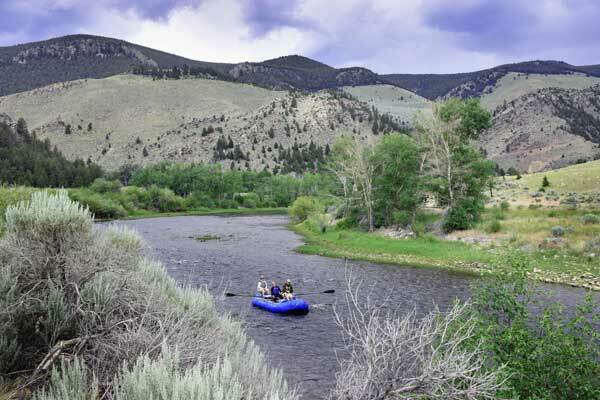 A two hour drive, Madison River is another great river to explore while staying at the Silver Bow Club. 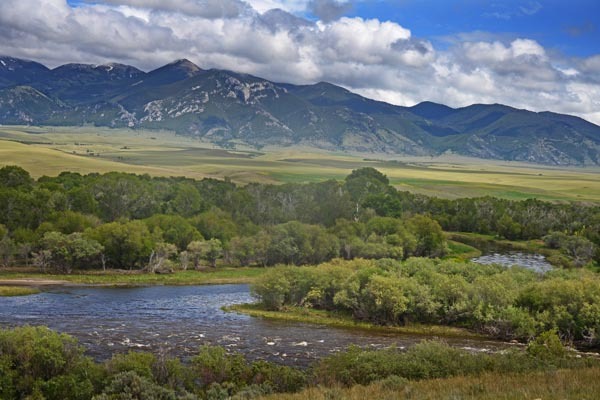 The Big Hole River’s largest tributary, the Wise River rises high in the Pioneer Mountains. This small stream is home to brook trout, cutthroat trout, and whitefish. Access is good along the Pioneer Scenic Byway. Fish tend to be on the small side in this wonderfully wild and flowing mountain stream.